Having mats on the floor of your car helps keep the carpeted interior clean and tidy. The beauty with car mats is that you can easily remove them for cleaning, unlike the carpet. That is the main reason why it is advisable to have mats in your car. Mats come in paired sets matching the theme of the interior of your car. They are made from a variety of materials and you can customize them to suit your preference. These mats usually match the carpeted interior and come as the standard set on manufacture. Their foundations are made either of plastic or rubber to keep make them last longer. They are cheaper than the rest and need more attention during cleaning. They are most suitable for dry climatic regions since water can easily damage the carpet material. Rubber car mats are more durable and much easier to maintain. The ridges in them trap dirt for easy cleaning. They are ideal for wet climates for trapping mud, water and grime. Vinyl can also be used for the floor mats or as liners to floor mats. Cleaning them is just as simple as for rubber mats and their transparency keeps the default appearance and style of the car intact. All weather mats are made from a combination of materials that makes them usable in all kinds of weather conditions. Users with heavy traffic in their cars can find these mats particularly useful. You can have a professional car mat dealer make customized car mats for your car to match the theme of your car. Many corporate entities have had their company logos and emblems embedded into personalized car mats. 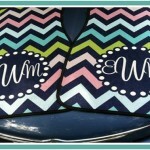 Monogrammed car mats in your preferred calligraphy can complete the theme of your car in grand style. 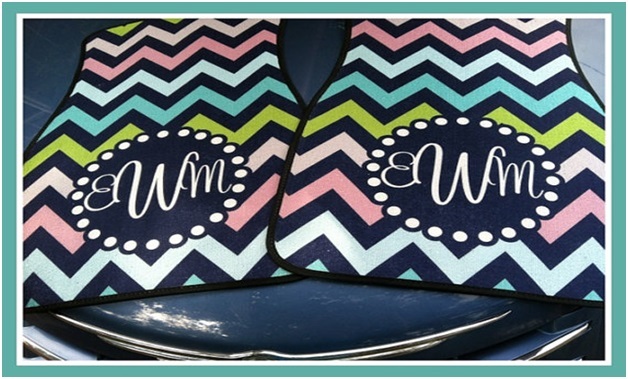 You can have the initials of your name incorporated into your floor mats with matching ones on your car seat covers for a classy, personalized look. This does not necessarily mean a compromise in the quality of material used to achieve this. These are simply car mats for lining up the trunk of your vehicle. They keep the carpet in the trunk of your car free from stains and protected from wear and tear. The trunk of your car is prone to getting stains from some of the cargo you carry like dirty tools and equipment. Rubber liners are ideal as they are made from heavy-duty material that is durable and easier to clean. Worn out carpet floors are avoidable with a set of good quality car mats. Car carpets are a great addition to your car and it is good to consider a few things before you buy any. When matched with other aspects of your interior like the color theme, then it would make your car look great. It is possible to find mats that serve well the functional purpose, while also adding some element of personality to your car. You can have patterns like flowers, drawings or logos incorporated on your car mat. Many varieties are available for you from which to choose. Weather conditions can also greatly determine the car mat that is most suitable for your car. A carpet mat would be most suitable to keep you warm especially if you live in a place that experiences cold weather without much dirt for most of the time. All weather mats, though devoid of the luxury and beauty, are a great option for all kinds of weather. Since they retain moisture, make sure that you get all weather mats that cover the carpet well enough so that there is no spillover that may occur at the edges. In most cases, vehicle manufacturers usually make cars with floor mats imprinted with the logo of the car manufacturer. Some new cars do not have floor mats and therefore, it is important to make sure that you get mats for your vehicle soonest possible. Also, if you need to replace the mats in your car, you can consider a variety of options ranging from original manufacturer car mats to aftermarket ones. Original Equipment Manufacturer (OEM) car mats on reselling your vehicle can give the impression that the vehicle has not veered off greatly from its initial condition, and can give any buyer the impression that the vehicle is well taken care of. They also are a perfect fit for your car. That way, mats do not get to slip because of not fitting. However, they have recently invented hooks or floor pegs that can fix your mat in place.Usually, OEM car mats are of relatively high quality carpet, match the carpeted interior of the car, and are an exact fit that protects the carpet. Aftermarket car mats are an affordable option that you can invest in. Their quality, however, can range from top-of-the-range to poor quality. Make sure you do adequate research before buying any aftermarket products. Sometimes, some aftermarket mats appear to have the logos of some car manufacturers. Some vehicle manufacturers can license aftermarket producers to make mats with their own logos. In addition, other aftermarket manufacturers produce mats with logos of vehicle manufacturers that are unlicensed.It pays to dig in a little deeper just to establish where the line has been drawn. There are different methods of cleaning each material of car mats, but the overall rule of thumb is to understand the general rules pertaining to maintenance of car floor mats. Dusting the floor mats and brushing or scraping off debris should be the first thing to do. You can also remove the loose dirt using a vacuum cleaner. The mats can then be soaked by placing them in a large container with water and soap to soak overnight. Never put your carpet car mats inside a washing machine. Power washing is also effective and can be done using a high-powered water hose to remove soap, stubborn stains and debris. It is always a good idea to invest in cleaning products tailored specifically for your type of mat.